ഒരു ബ്രിട്ടീഷ് നോവലിസ്റ്റ് ചെറുകഥാകൃത്ത്, കവി, നാടകരചയിതാവ് എന്നീ നിലകളിൽ പ്രശസ്തനായിരുന്നു റൊആൽഡ് ദാൽ (Roald Dahl) (/ˈroʊ.ɑːl ˈdɑːl/; Norwegian pronunciation: [ˈɾuːɑl dɑl]; 13 September 1916 – 23 November 1990). 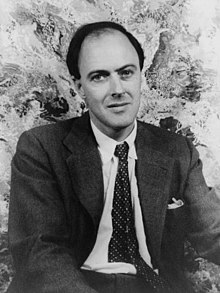 Many of Dahl's works were used as the basis for films or television programmes. 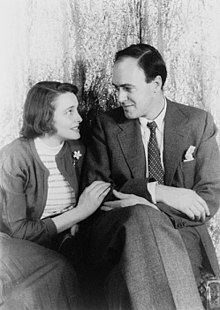 The following are where he is credited as the writer of the performed script. 1955 – Stage work Produced at the Longacre Theatre on Broadway. Alfred Hitchcock Presents: "Lamb to the Slaughter"
Way Out: "William and Mary"
↑ Sturrock, Donald, Storyteller: The Authorized Biography of Roald Dahl, p. 19. ↑ 2.0 2.1 Sturrock 2010, pp. 627–28. ↑ Book and Magazine Collector 2005, pp. 17–30. ↑ 4.0 4.1 Grigsby 1994, p. 40. ↑ 5.0 5.1 Carrick 2002, pp. 37–38. ↑ Book and Magazine Collector 2005, p. 18. ↑ Dalby 1994, p. 15. ↑ Book and Magazine Collector 2005, p. 22. ↑ 9.0 9.1 Walker 2002, p. 22–23. ഈ താൾ അവസാനം തിരുത്തപ്പെട്ടത്: 12:16, 18 ഏപ്രിൽ 2017.